My niece Alexa will have a new baby brother in January, and I have been brainstorming for a cool BIG sister gift for her. Lucky for me, Pinterest helped me come up with an idea. Having crocheted both my niece and nephew a baby blanket, I decided to design her a new one. 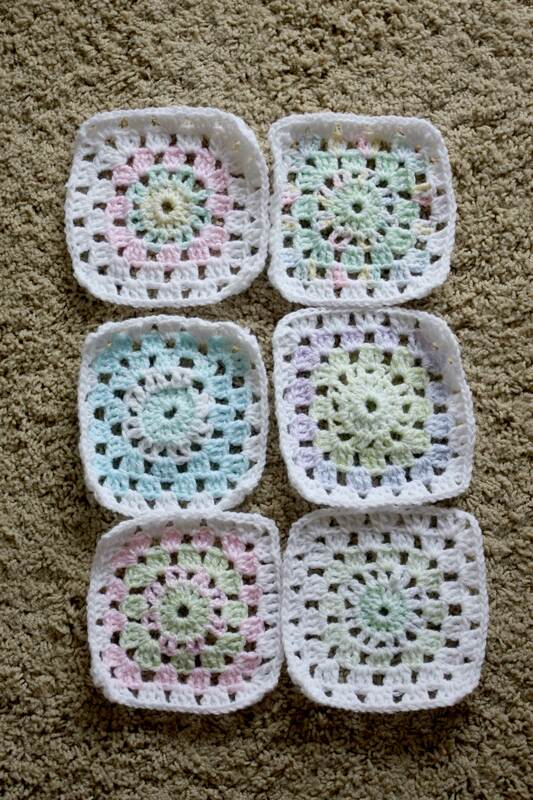 This time, I am making 48 mini granny squares in Sugar Pop pattern in multi-colored yarns. It’s playful and pretty (plus, I can sneak in some pink). It is a big adjustment becoming a new big sister (I was one once!). A Big Sister kit will hopefully make her day as she welcomes her new baby brother. Now, I have some granny squares to finish!